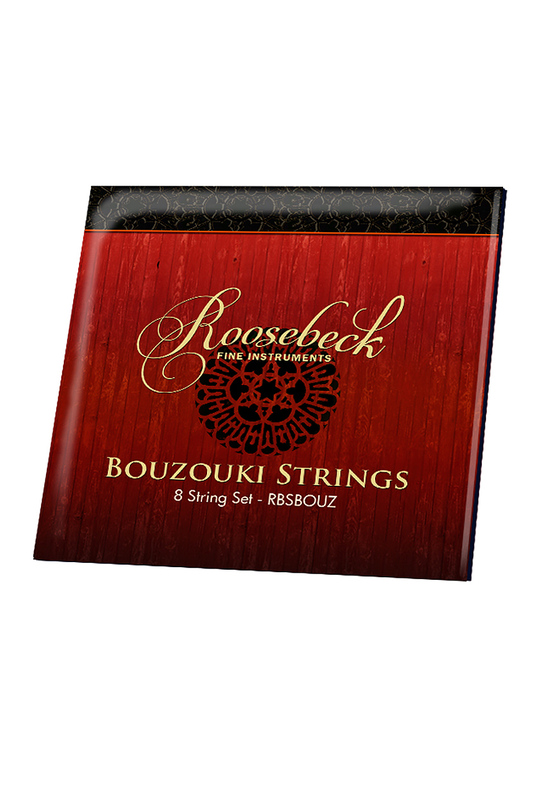 Roosebeck Bouzouki 8 String Set Steel & Wound Loop End. The Bouzouki is a Greek instrument dating back to Byzantine times, and has eight strings in four courses of two. The two higher pitched courses are tuned in unison, while the two lower pitched courses are tuned to octaves. The standard tuning for a bouzouki is actually one step below the tuning of a guitar.